THE owner of a Leeds barber's shop gutted in an arson attack this morning has vowed to re-open his business as soon as possible. Police on patrol in Harehills saw Jino's Barber Shop on Harehills Lane in flames just before 1.30am today (Thurs Dec 6). Officers alerted West Yorkshire Fire Service and fire crews extinguished the blaze at the shop. 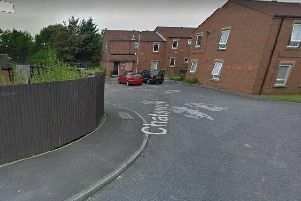 The shop has metal shutters to prevent burglaries, but raiders broke in to a neighbouring house on Brown Hill Terrace before smashing their way into the shop. Mr Sabir, who has run the business since 2014, said: "They broke a window in the house next door and went in to the shop and set it on fire. They burnt all the shop. "When I came there were two fire engines were here and they were trying to control the fire." Mr Sabir said he will repair the burned out shop and get the business back open as soon as possible. He said: "I'm not going to let the shop be closed. I'm not happy with that. "I will try to be open in seven or eight days." 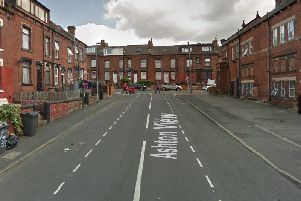 A West Yorkshire Police spokeswoman, said: "At 1.29am this morning, officers came across a fire at a business premises on Harehills Lane, Leeds. "No one was inside the property at the time. "The incident is being treated as arson and enquiries are ongoing. "Anyone who witnessed anything suspicious in the area is asked to contact police on 101 quoting crime reference 13180610598."